Read for WhatsApp conversation! Wanna watch WhatsApp talks about your boyfriend or girlfriend, a friend, a family member? Tired of searching and searching to no avail tricks? Want to get them easily? Here I bring the solution, I have developed an application to read any conversation! 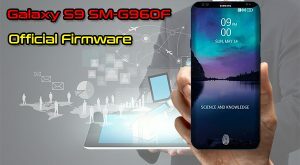 Hey there, Galaxy S9 SM-G960F owner, here you find all the latest official firmwares for the Galaxy S9 SM-G960F, if you want to flash your device with the newest Samsung software. Before downloading, make sure your device has the exact model code SM-G930F. You can download the latest Galaxy S9 firmware for free with our ROM download manager.